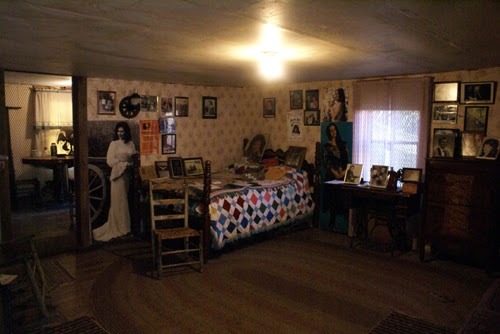 While at the Jenny Wiley State Park for a conference, I decided to venture up to Butcher Holler to visit the home of Loretta Lynn and Crystal Gayle. Little did I know what adventure this trip would be. 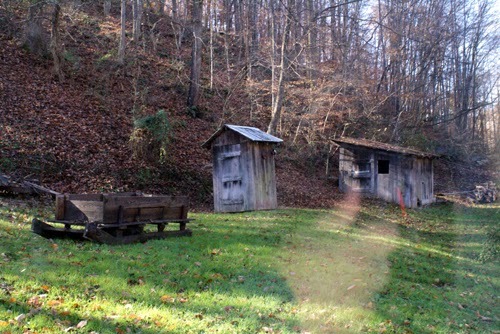 In all my years of living in Kentucky, it has always been a goal of mine to visit Butcher Holler. It just seemed to connect the pieces of the country music puzzle for me. 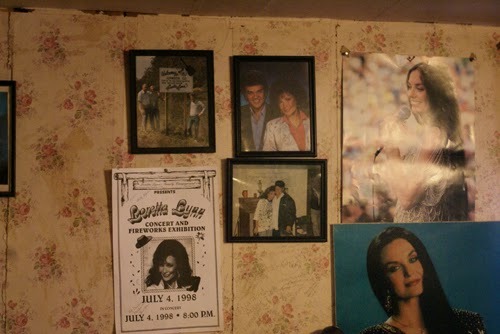 I’ve never met Loretta, but I have met Crystal Gayle a few years ago at the Kentucky Music Hall of Fame ceremony. What an elegant lady to interview. I started at the park and went down the road to the gas station to grab a pop and some donuts on a crisp cold Saturday morning. 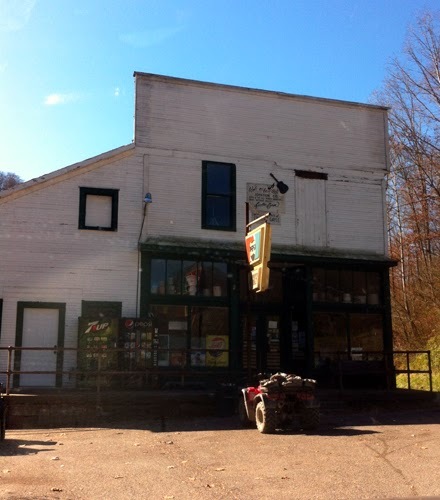 The journey up to Butcher Holler is a delight in itself. When doing a “google map” search, be sure to put Butcher Hollow. You can also put in Van Lear, Kentucky. 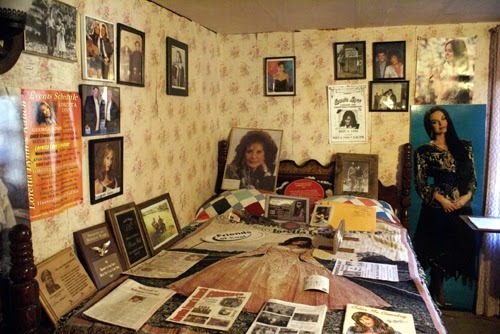 From Prestonsburg, I took KY-302 into Van Lear and saw a sign that said “Home place of Loretta Lynn” pointing to the right. I turned right onto Miller Creek Road and it dead end with no directions on which way to go. Rut Roh. Thank goodness for the fine folks at the Van Lear post office on this road. 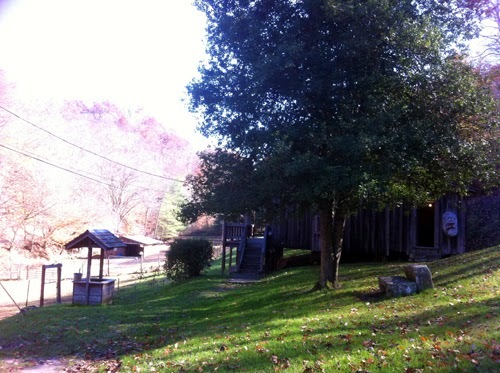 You turn right onto Miller Creek Road and follow it for some time until you see the Webb Country Store on your right. You will come up on the backside of it. It’s a tall white building with a few steps leading up to it. When I got inside, there were two older couples, a guy sitting in a rocking chair eating a sandwich, and a young man standing behind the counter talking. 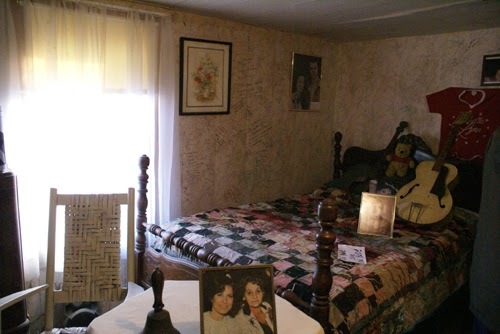 Come to find out, it was Loretta Lynn’s nephew. 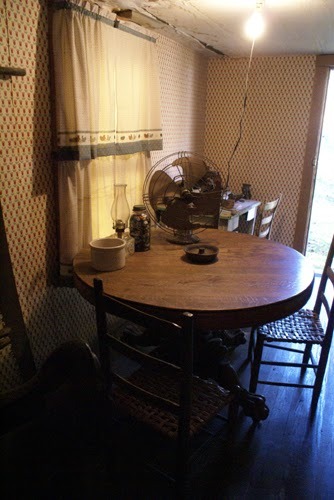 Throughout the general store, there is an assortment of items to purchase. 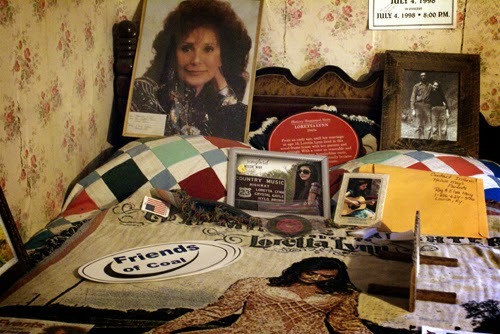 From drinks to food items, to little trinkets bearing Loretta Lynn’s name. 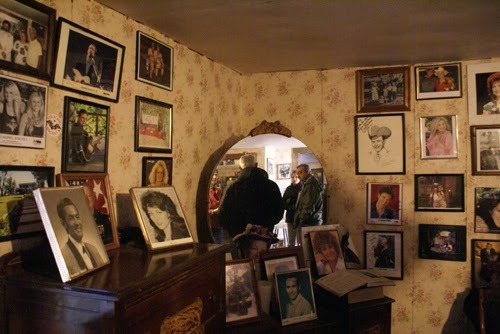 There were also antiques and photos along the walls. Her nephew said that Herman would be free in about 20 minutes, so I took the time to look around and listen to stories. 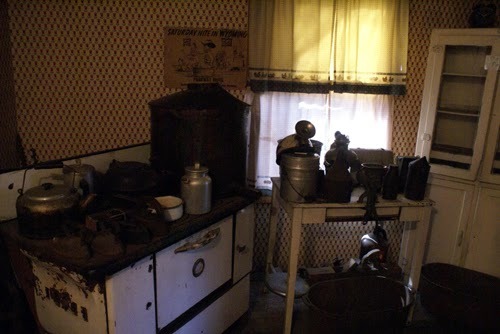 The phone rang and it was Herman Webb calling say he was at the house. I loaded up in my vehicle and the others got in theirs. Along our way, I saw several deer, as well as deer hunters on 4wheelers. I bet they wish they saw the deer that I saw! 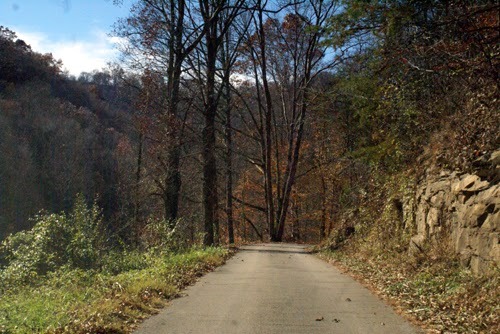 As you drove down the blacktop winding road, you approach a split with a large black painted rock with “Butcher Holler” and an arrow painted in white. You turn left and go a tiny bit before you see a cattle gate on your right leading up to a gravel driveway up on the hill. A sign greeted you as you descend up on the hill with a tiny parking area on the right. 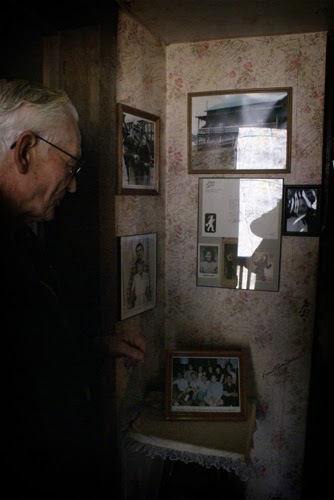 As I walked up to the cabin, I see the elder Herman Webb awaiting on the porch with Loretta Lynn blasting through the tiny speaker. 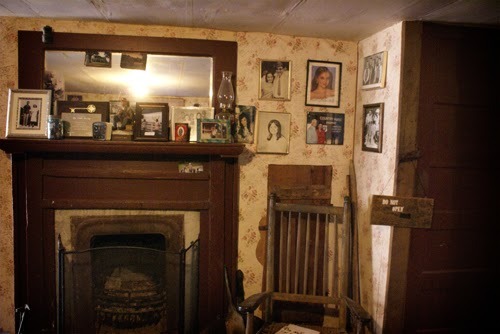 The first thing that shocked me was how small the porch was. I had it pictured much bigger. 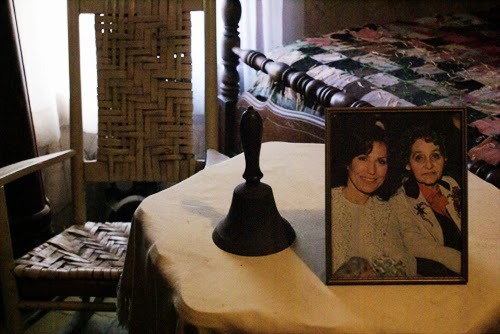 In fact, I think I was surprised by how small the house was overall considering the large family that Loretta’s parents had. 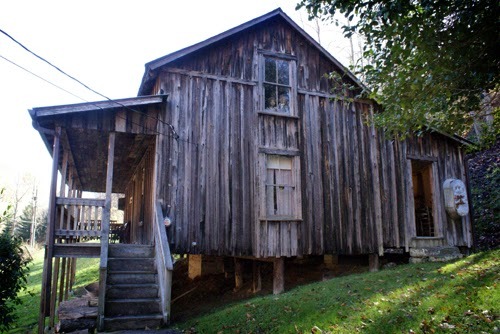 Butcher Holler – Home Place of Loretta Lynn. By Jessica Blankenship. 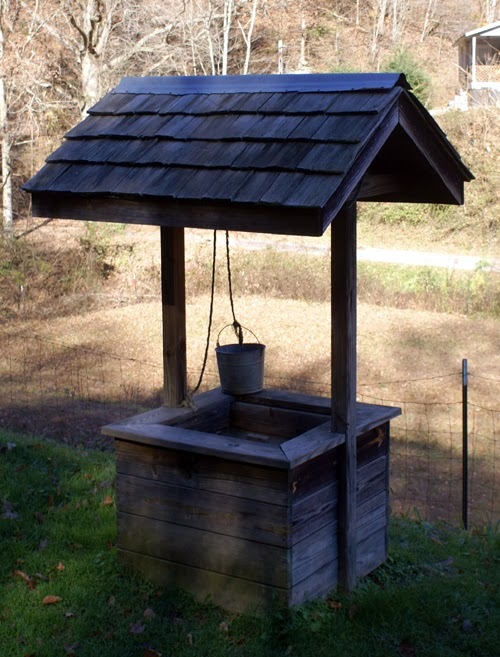 Old well where they drew water. By Jessica Blankenship. 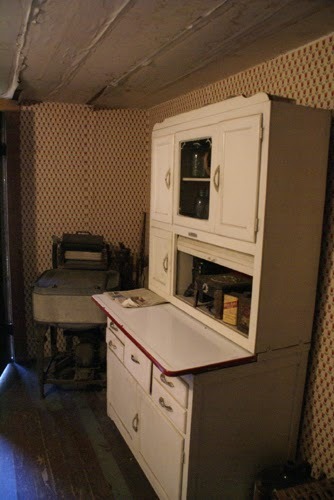 Hermann pointed out many items throughout the tour. 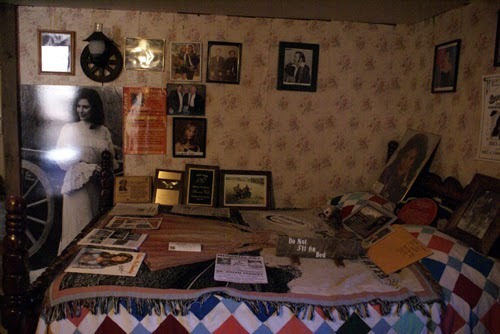 He showed us photos and memorabilia from the “Coal Miner’s Daughter” movie. 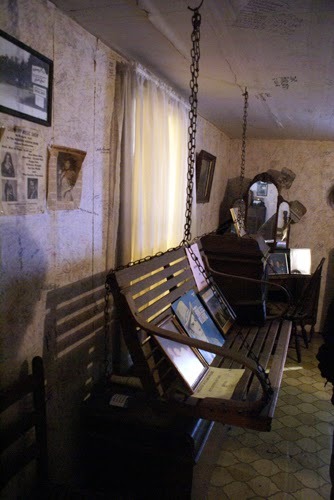 He showed us the porch swing that was originally on the front porch and his parents would sit in. 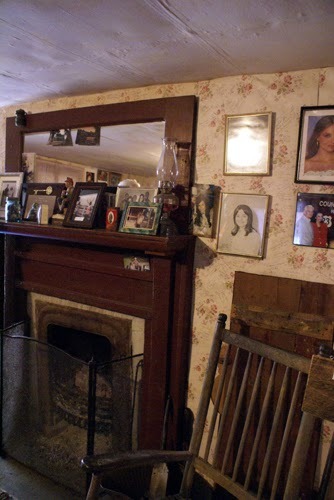 There were photos, outfits, and little pieces of Kentucky living throughout the house. Each item had its own story, own piece of time. 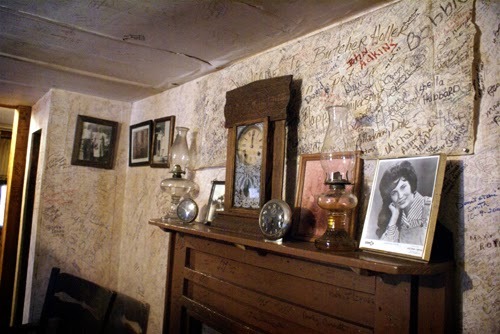 It struck me as being odd seeing people signing their name and date all along the walls and even on the fireplaces. I refused to do so because I felt like it was disgracing a piece of Americana history. 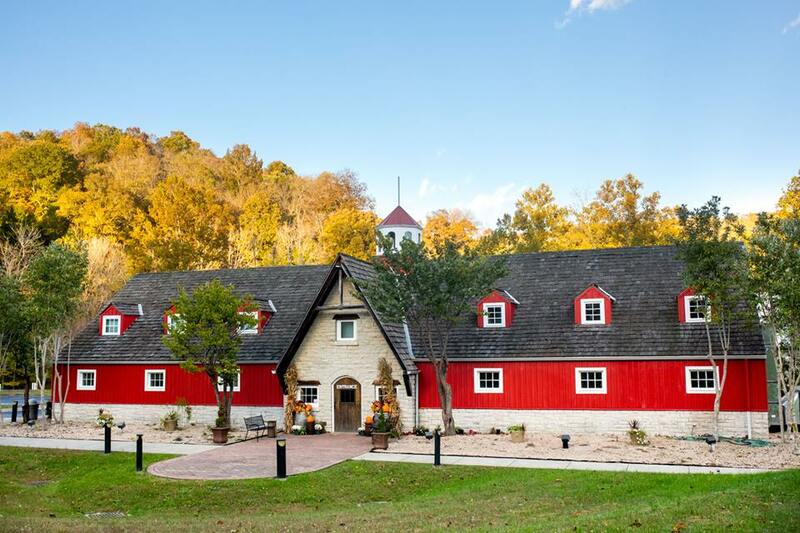 Which brings me to the question, why isn’t Butcher Holler listed as a Historical place? At the end of the tour, one of the ladies asked where did they use the bathroom, take a bath, and she thought they didn’t have electricity. I had to laugh. The outhouse is still standing and yes, it is quite a walk and I can only imagine how long of a walk on a cold winter night it could be. 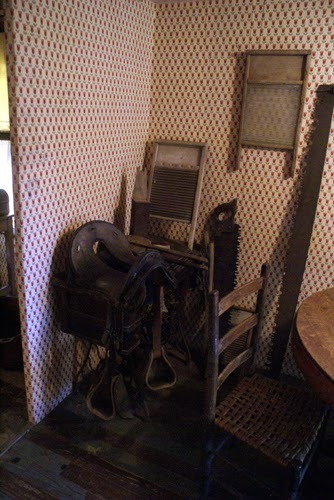 There was also a shed where they did their hog killings and other things. In front of the house on the steep bank stood where the summer garden had once flourished. There was a barn that had a couple of horses. I asked Herman about the roads and waterlines. He said that they didn’t blacktop the road until about 2 or 3 years ago. Waterlines were put up last year to help with the livestock. The older couples left and Herman and I talked about music and growing up in east Kentucky. Such an interesting man to speak to. 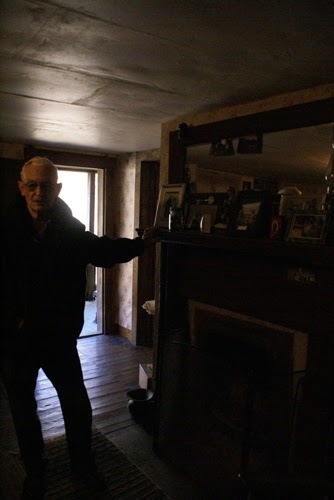 Upon our farewells, he gave me a hug and said that it is always good to see younger folks come and visit and learn about country music history. 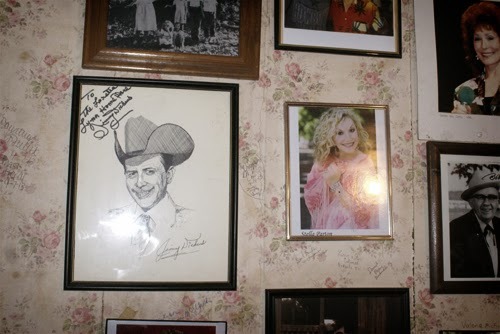 Me with Hermann Webb, Loretta Lynn & Crystal Gayle’s brother, on the front porch of Butcher Holler. 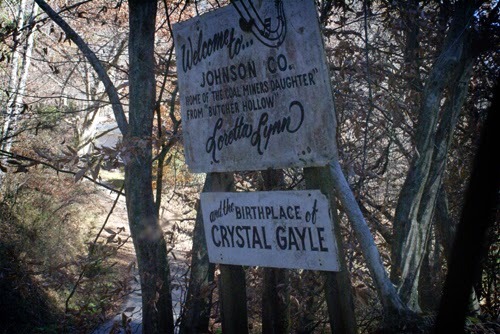 As I traveled back down the narrow road back into Van Lear, I couldn’t help but start singing “Coal Miner’s Daughter.” I was ready to see the movie again upon returning home. 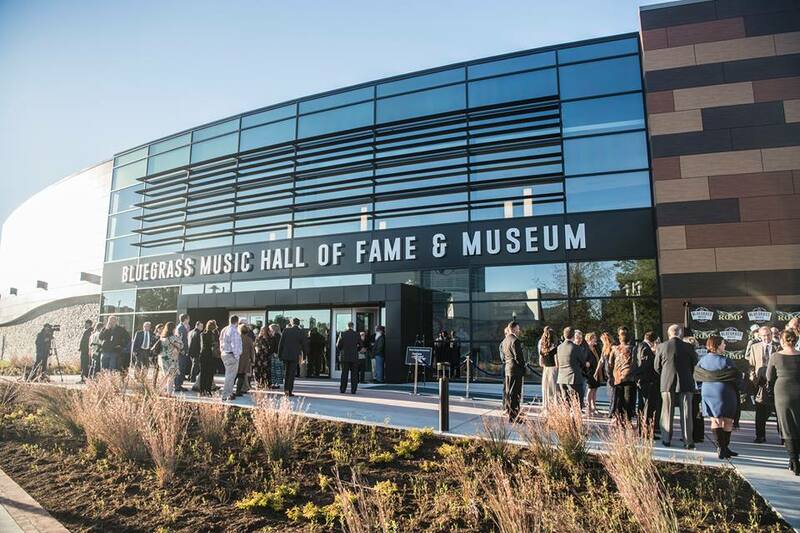 The trip itself renewed an interest in Kentucky history, country music history, Appalachian history, and wanting to learn more. 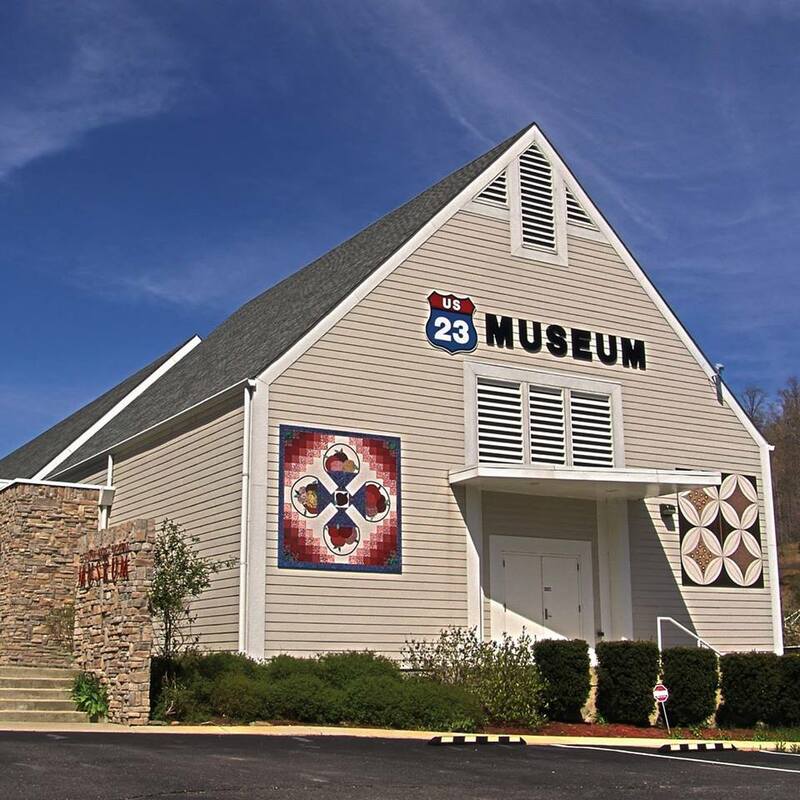 Stay tune for my adventures to the US 23 Country Music Highway Museum!